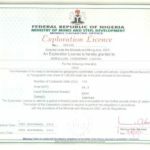 We of Cascade Logistics Investments LLC, USA, have been granted exclusive rights to market and solicit apprioriate investors and miners by our client who holds a Total of 494.4 Cadastrial Units of prospective GOLD deposits in about 109.6 Square KM's. 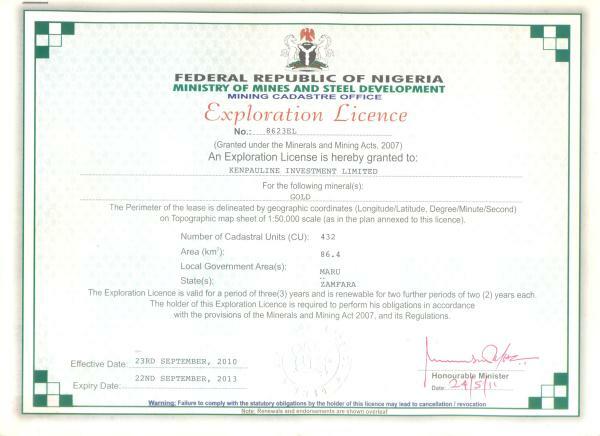 The breakdown is in three active and verifiable exploration licenses from the Nigeria Ministry of Mines and Steel Development from Sept/2010 to Sept/2013 (renewable every 2 years thereafter). Two old gold mines are most important, and are within the Maru schist belt. Duki Mine is hosted by a shear zone traversing a quartzite-schist series, often exploiting the S schistosity planes. The mineralization apparently made up of gold-qartz veins, was exploited by past mine r for over 1 km of strike length, leaving behind series of collapsed N-S trending workings without any surface exposures of the mineralization. 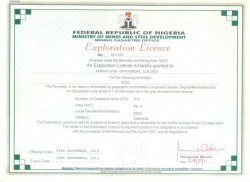 Recent explorations drilling by the Nigerian Mining Corporation have the continuity of the gold-quartz sulphide veins below the old workings.The other old gold mine (Maraba) is a two sub-quartz vein (300 m long) system. Tourmaline and chlorite in quartz floats and altered wall rocks are the only indicators of mineralization. In this area, there are a number of old gold mines, such as Kwali Jameson, Zuzzurfa and Kuba, hosted by sch ists, phylites and quartzites of the schist belt. Individual veins or reefs seldom exceed 0.5 km of strike length as indicated by the extent of past workings, and are concordant with the host rock foliation. These mineralized wall rocks show metal values in the following range: Cu=647- 5410ppm, Pb =7550-22600ppm. Ag=1.5-8.6ppm, and Au=123-6320ppb. Please interested parties should contact Cascade Logistics Inv LLC Attn: Dr Sonny Nnamchi on +1.404-229-4507 or sonny8750@aol.com with Letters of Intent (LOI) for verfications, inspections, quality control analysis and possible purchase or collaborative joint venture partnerships.